Ottawa's Birdie Whyte has figured out a clever way to see her favourite local bands on her annual swing through the Maritimes. 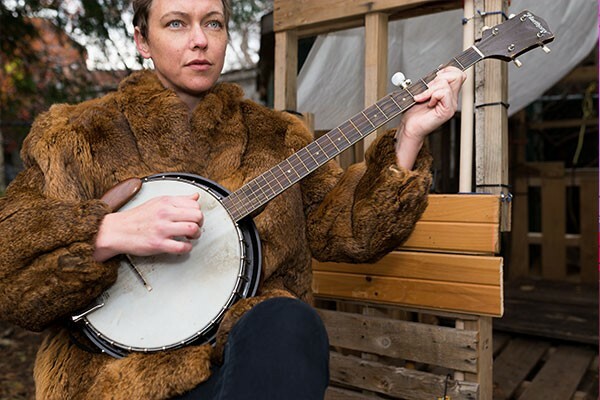 The banjo player will have three different bands backing her, including a stop at The Carleton in Halifax with Caribou Run. The idea came from her hometown Birdie Whyte & the Area Players series, a way to balance work, life and being a musician. "I don't get to see shows very often but I have a lot of favourite local music," says Tiah Akse, who plays old-time tunes under the Birdie Whyte moniker. "So I created a series mainly so I could open the show and then see each of the acts, sit back and watch the show." By the end of these shows, all the musicians come together to play a final song, a familiar sight with music rooted in the folk tradition. 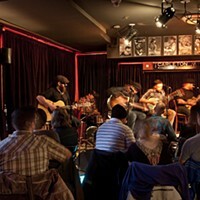 A similar spirit of collaboration and spontaneity will come with The Penny Blacks in Fredericton and The Falling Leaves in Saint John. Akse will rehearse with those bands, but the Halifax show will be based off chords and notes sent in advance to Caribou Run. "I was really lucky because they're all favourites of mine and they're all game to do this kind of on-the-fly show," says Akse. She met Mark Brunelle of Caribou Run through a mutual friend, already a big fan of Something Organic Will Happen. A handful of songs on the debut Birdie Whyte full-length album, set for a spring 2019 release, include recordings made with Brunelle. As for her connection with Nova Scotia, she first saw the ocean in 2012 after hearing stories from her late father. One of her first recordings, "Big Blue Ocean," was about wanting to see the ocean before she died. "When I got out there, I wrote the song 'Leaving My Heart in Nova Scotia,'" she says. "Now this is the reason I fell in love with the place, because the ocean was even better than I imagined."